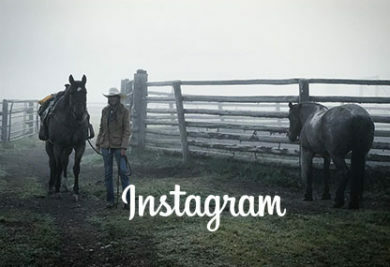 This Jackson Hole Dude Ranch has been owned and operated by the same family for 40 years. 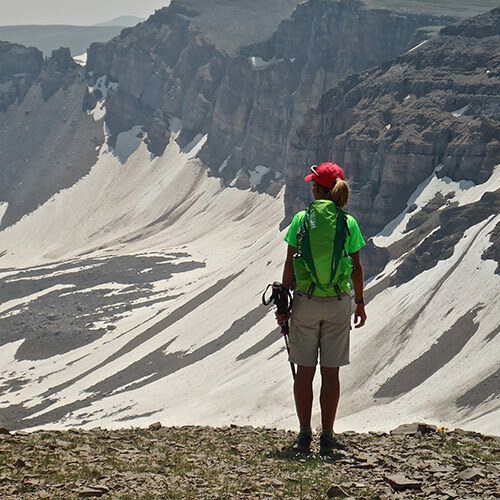 It is located just outside of Jackson Hole, Wyoming. 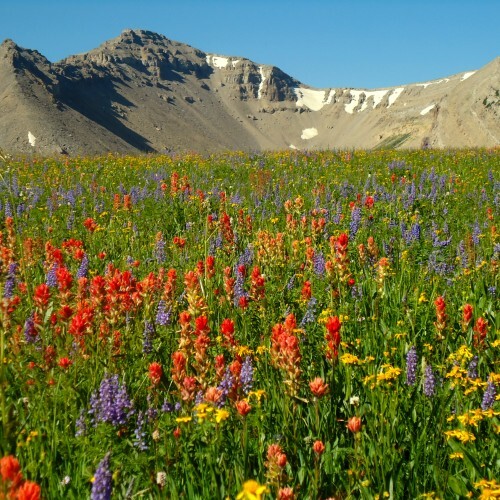 Grand Teton National Park and Yellowstone National Park are a short drive from the ranch. 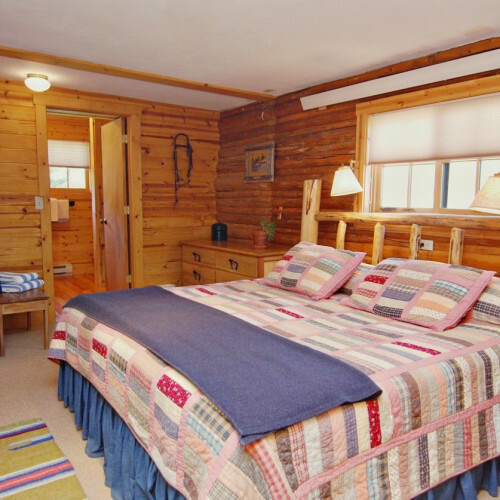 At this Jackson Hole Family Ranch you will find a traditional Wyoming Dude Ranch Vacation with a truly relaxed change of pace and the charm of the old west. 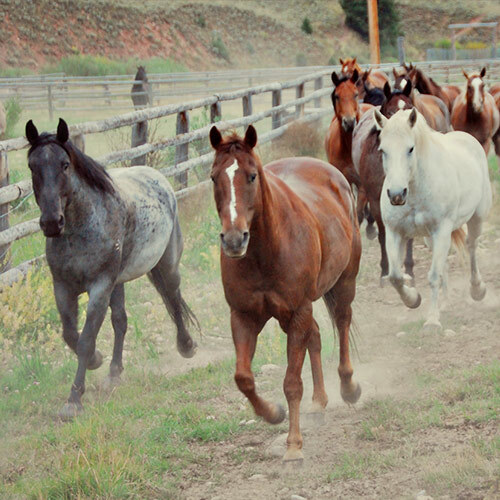 The combination of traditional Dude Ranch activities and polished amenities creates a unique Guest Ranch experience. 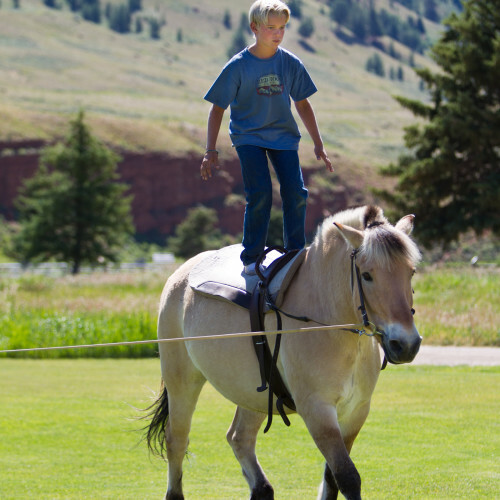 Our outstanding horseback riding program coupled with a truly engaging kids program makes this Jackson Hole Dude Ranch vacation a memorable experience. Our horseback riding program is flexible and geared to your enjoyment and safety. Riding through the scenic Jackson Hole terrain and the views of the Teton Mountain range will transport you back to another time. 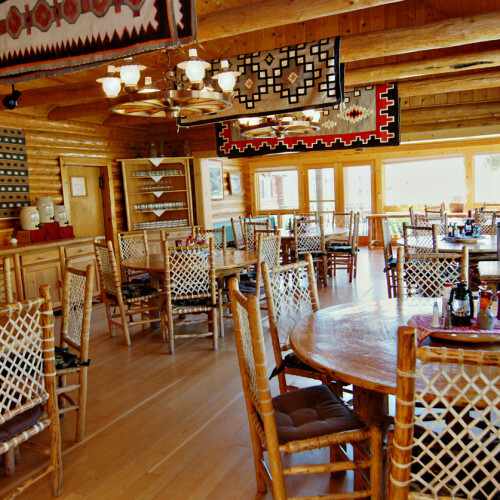 Exceptional ranch cuisine, from mouth-watering BBQ’s to plated gourmet dinners, home baked breads and desserts, and private lodging in our richly appointed yet authentic Western log cabins complete this unique Jackson Hole dude ranch experience. As the sun crests the warm red mountains and the summer glow begins to fill the valley below, you realize that this is what life is about. Family, fun and the open space of the West. After an exciting day of riding, hiking, fishing and exploring all the ranch has to offer, nothing is better than a home cooked meal, fresh and creative, to keep you going for the next half of the day. 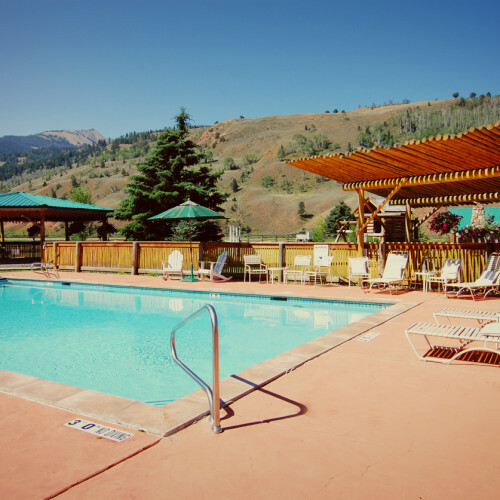 Given our wide range of activities, amenities and exceptional service we are a natural venue for singles, couples, families and multi-generational family re-unions. 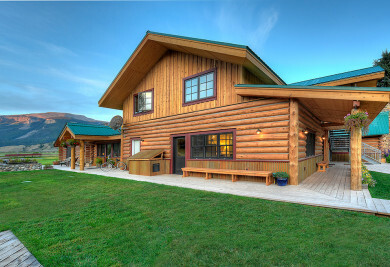 Jackson Hole Wyoming is a true destination location, this Jackson Hole Dude Ranch offers the ultimate private setting. 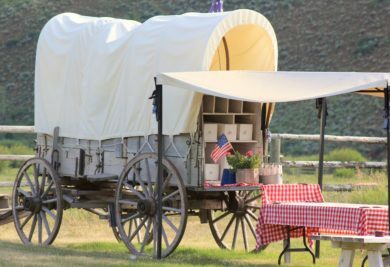 Family Vacations at this Wyoming Dude Ranch are filled with lasting memories and quality family time that seems to be lost in the everyday pace of today’s life. We invite you to experience The Red Rock Ranch firsthand and quench your thirst for a truly remarkable Wyoming Dude Ranch Vacation. 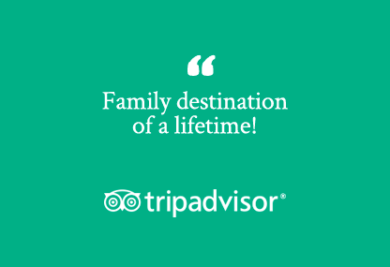 We provide a setting that is steeped in heritage, committed to family values and formed by the generations of guests that continue to create lasting memories. 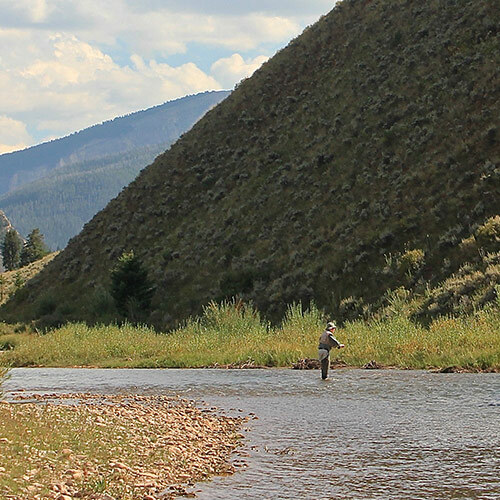 Red Rock Ranch is home to over 2.5 miles of private fly fishing water. Crystal Creek, which flows through the dude ranch, is an excellent fishery with abundant native Snake River Fine Spotted Cutthroat Trout. 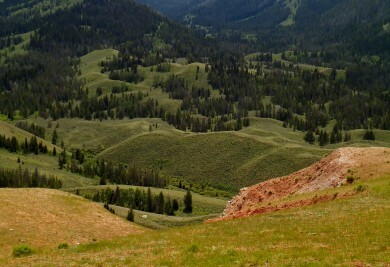 Take advantage of all Red Rock Ranch has to offer by hitting the mountain trails for unforgettable views of the Teton Mountains and the picturesque Gros Ventre valley. Fly Fishing Clinic, 2 1/2 miles of private Crystal Creek, stocked trout pond. The Red Rock Ranch Mission Statement: Authentic Western Ranch Experience that is Beyond Expectations. We are currently taking reservations for 2019. Our season will open the week of June 16, 2019. Our Kids Program will end late August and then we move to Adults Only through early September. We do have a six night minimum. We have two specialty weeks this summer, 2019. August 25-31 Photography Week, a professional photographer will be here to help the beginner to the advanced. Take your camera past the Auto Setting and create wall quality art. September 1-7, Wolf Week, we will have 5 different Wolf experts that will create a week filled with learning and discovery. Contact the ranch for more details. We do offer CABIN RENTALS in the fall and winter From mid September through early Spring. Two cabins that each have a fully furnished kitchen are available for a two night minimum. This is an ideal time for a Fly Fishing or Hiking getaway. Top Hand & Ranch Hand: two levels of more personalized riding instruction. Take your riding to the next level off the trail and into Equine skill development. Using Natural Horsemanship techniques instructors will concentrate on helping you achieve a better understanding and communication with the Horse. These are additional and available every week during the summer. 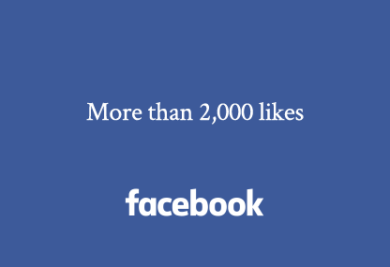 We take great pride in serving excellent food, whether on a cook-out BBQ, lunch ride or in our main dining room. Dress is always informal and western. Be it a world class hike, fishing on the streams or riding our gorgeous mountains – kick back and relax in the mountain fresh air as you look up at a sky full of stars. Copyright © 19 - Red Rock Ranch. All Rights Reserved. Reproduction in part or in whole without written permission is prohibited.